An entrepreneur, finance executive, and management consultant with nearly two decades of relevant experience, Darcy Bergen currently serves as President of Bergen Financial Group in Phoenix, Arizona. Commanding a long and impressive professional history, Darcy Bergen laid the educational foundations for his career as an undergraduate at the University of Regina in Saskatchewan, Canada, where he pursued studies in a wide range of topics. Following the University of Regina, Darcy Bergen secured a role as a Financial Advisor at Western Canadian Brokerage Group in Regina and spent close to nine years selling all manner of insurance and other financial products. Over the course of his tenure with Western Canadian Brokerage Group, Darcy Bergen held additional positions as a Branch Manager with The Financial Planning Group, as a host of the Canada-based radio and television programs Smart Money and The Money Doctors, and as principal of Darcy Bergen & Associates. Darcy Bergen earned Canadian Securities Certification from the Canadian Securities Institute. He also obtained Branch Managers Certification, and Mutual Funds Certification, and held membership in the Canadian Association of Financial Planners and the Million Dollar Round Table. 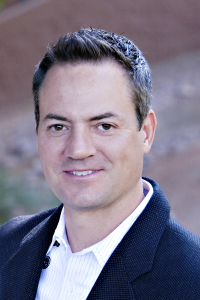 After relocating to Arizona in 2000, Darcy Bergen launched For Life Financial in Scottsdale, where he offered a variety of products and services to clients throughout the region. After three years with For Life Financial, Darcy Bergen founded Clear Solutions for Seniors, a highly diversified financial advisory firm focused on the unique needs of senior citizens in Arizona and beyond. An active management consultant as well, Darcy Bergen has provided financial and material direction for such companies as Steamtrain Records, Automotive Properties Group, and American Republic Insurance Company. At present, Darcy Bergen serves in a consulting capacity for Phoenix-based Bell & Associates, in addition to his duties at Bergen Financial Group.